Hot hatchbacks have been gaining power with indecent speed. It was only the middle of the last decade that 200bhp was about as much as you could cram into a practical, five-door hatchback without making the chassis look silly. Not any more. Since then plenty of manufacturers have upped the hot hatch ante. First, power nudged 250bhp. Then it was 300bhp after four-wheel drive joined the party. Now we’re looking at 400bhp mega-hatches like they’re nothing unusual. That really is crazy: hot hatch power output doubled in just 12 years. 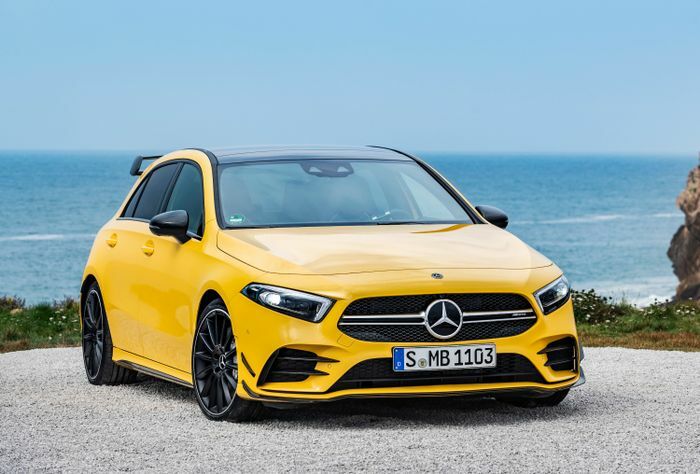 The next Mercedes-AMG A45 has been in the news this week, albeit indirectly within the AMG A35 teaser and subsequent full reveal. 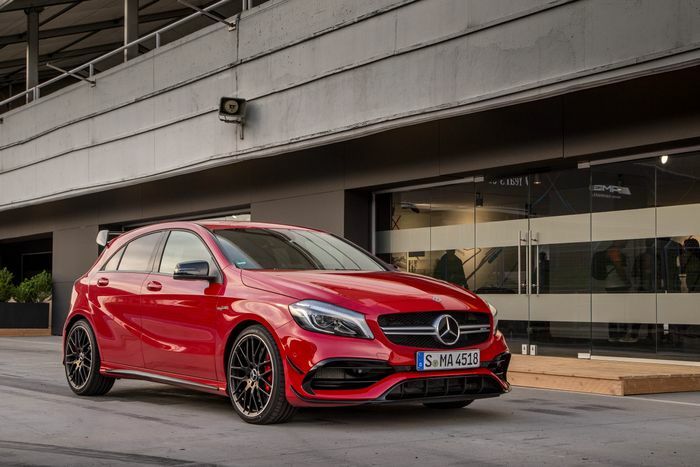 Mercedes’ decision to push the A45 right to the mental end of the market to make room for the saner and surely more usable A35 got us thinking. If we had, say, £35,000, which is the rumoured target starting price for the lesser of the two AMG A brothers, would we wait for a lightly used A45, with something like 400bhp and stiffer suspension, or would be rather tread a little lighter with the 300bhp-ish A35? The answer in the CT office was pretty one-sided, which is to say ‘other Matt’ and I had a conflab and agreed the A35 sounds like the sweeter buy. Our reasoning went something like this. 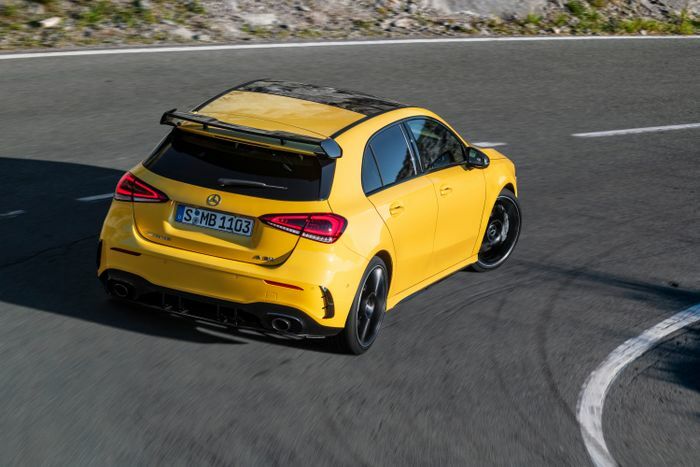 As impressed as we were by the 395bhp Audi RS3’s utter demolition of its rivals – including the outgoing A45 – in most drag races, our experiences with the bombastic Hyundai i30 N suggest that, in the real world, less power can be more fun. Remember when 236bhp was a lot? Anyone who’s ever thrashed the last breath out of a 50-something horsepower supermini knows how much silly, low-speed fun it can be. Maximising what the car can do without stepping over the limit either into a hedge or a courtroom is no bad thing. We’re talking about the same principle with hot hatchbacks, but there’s more to it. The Seat Leon Cupra 280/290/300/New 290 is an absolute belter. It has enough power to trouble the front wheels and keep things interesting, enough explosive torque to make the manual version feel like a neutron bomb in your pants and enough traction to tear its own tyres to shreds in days if you’re really going at it. 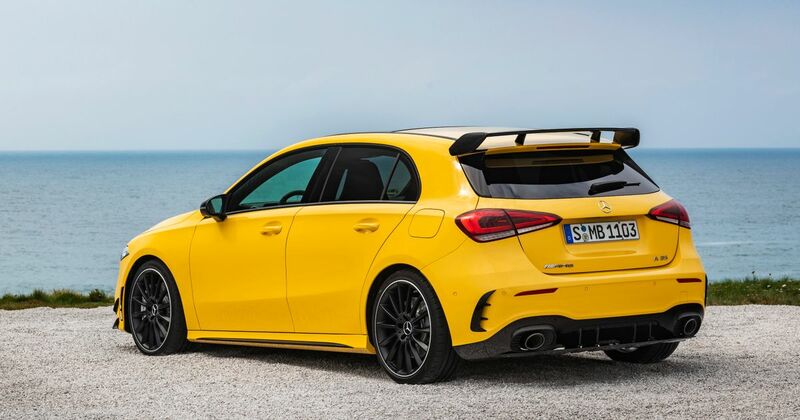 With the A45, Mercedes-AMG is said to be tuning it to be almost track-spec firm, with the A35’s damping backed off for more compliance. It sounds to us like the A35, with its more usable output, AMG character and road-tuned springy bits, might be the one to have. Not that this makes the A45 irrelevant or undesirable. Who doesn’t enjoy activating Launch Control and feeling their internal organs turn two-dimensional? We just have a sneaking suspicion that the A35 will be more fun, more of the time. And for us, it raises a question mark over the whole hot hatch power war.